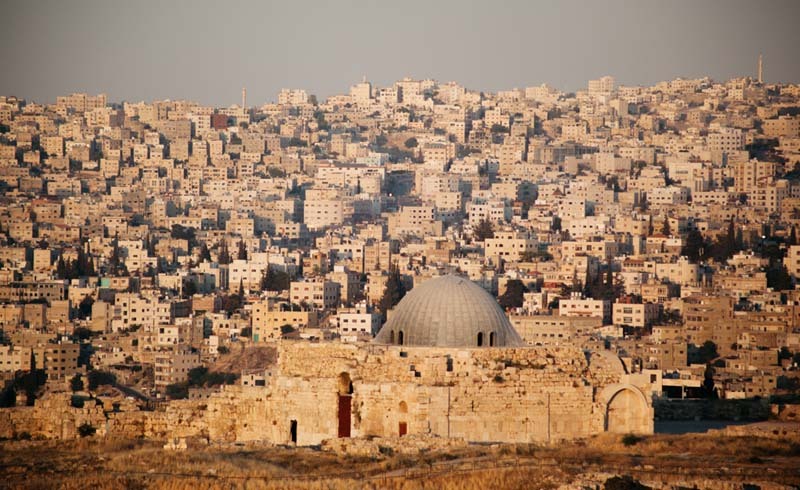 The surprisingly friendly city of Amman, Jordan is the perfect launching pad from which to explore the vibrant and historic country. I recently went to Amman, Jordan to visit some friends who were living there. It was wonderful to have a place to call home and serve as a launching pad for the other adventures we had planned while we were there. They love Turkish coffee. Obviously, this is a generalization, but every day I found that the workplace lunch room at Mercy Corps (where I was volunteering) had one or two persons boiling some ground coffee beans in a small brass pot, over an open flame. As soon as it almost overflowed, it was done. And delicious. My friends just had a baby, and that baby got passed around to anyone who wanted to pinch her cheeks and look into her eyes. Jordanians are so kind and much more welcoming than Americans I’ve encountered while traveling. Their genuine love and kindness is a breath of fresh air. Lots of smoking. Now, to be fair, I live in California where smoking has been banned since 1995, but even so, the amount of people that smoked was very surprising—Especially because of all the blatant health warnings all over the pack cartons. Pro tip: if you’re traveling to a place that allows smoking indoors, an odor blocking clean/dirty packing cube can make a huge difference in keeping your clean clothes from smelling like smoke. I felt so welcome. Yes, by the local people, but also by government officials. I rented a car for a couple of days and had to stop at checkpoints to and from visiting Israel or traveling down to Petra, and I was always greeted with a smile and a “welcome!” It was very sweet and again, the kindness was refreshing. Jordan is both religiously and culturally diverse. You’ve got very conservative Muslims, as well as a more modern Muslims who don’t cover themselves with hijabs. There are also a lot of Christians. And people from all over the surrounding area (and beyond! ): Jordan, Lebanon, Syria, Iraq, Saudi, France—the list goes on. I met so many people from such diverse backgrounds while visiting Jordan, and I loved seeing everyone living peacefully together and with respect for one another’s culture. This is how it should be everywhere. Artisan crafts are very prevalent. I was astonished by how much skill and beauty was on display in the local markets and shops. The mosaics, ostrich eggs, glass blowing, and embroidery,in particular, were incredible. Oh my goodness. I had my first experience at a Turkish bathhouse just outside of Petra and let’s just say it’s definitely happening again. There are so many ruins, and not just any ruins: Roman ruins. I know it’s crazy that I hadn’t realized I would find Roman ruins in Jordan, but I hadn’t. We checked out Jeresh, the Roman Amphitheater at Hashemite Plaza, and Temple of Hercules, and I was blown away by the level of craftsmanship, strength, skill, and technology that people devised thousands of years ago. It’s jaw-dropping how advanced society was back then. Amman is so CLOSE to so many places. I mean, Petra is a measly three hours away, Israel is a little less than two. 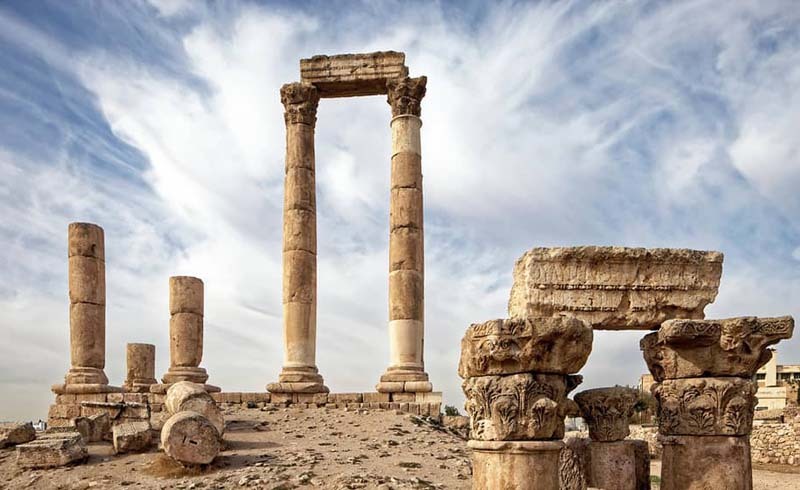 With the amazing destinations that surround Amman, it’s worth bringing a daypack for mini-excursions. All-in-all, Jordan was a fantastic place to visit. The history, the people, the location. I feel like I learned a lot about myself and the world around me in going into a part of the world I hadn’t yet been. I would encourage everyone else to do the same. Travel changes us for the better, and helps us find our unknown.